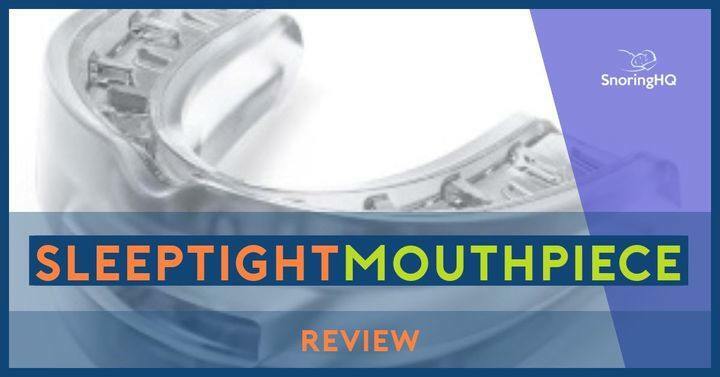 SleepTight Mouthpiece did not necessarily blow me away, but it didn’t disappoint me either. If I didn’t have other anti snoring devices that had already really impressed me this one may have landed closer to my list of favorites. I like it, especially since I was able to try it for $10. It is a moderately priced mandibular advancement device (MAD) that I found to be quite useful. It is not insanely comfortable (what MAD is), but I certainly was not counting the days to get the trial done either. The product was designed by an experienced dentist. Airflow hole in the front allows you to breathe through the mouth. Boil-and-bite technique allows you to achieve a custom fit from the privacy of your home. Low upfront fee lets you try it for 30 days to see if you like it before investing the full amount. Long lifespan ranging from six months to two years. Can be refitted up to five times without comprising material. Partial denture wearers can use this device as long as there are some teeth on top and bottom. The design does not allow for lower jaw placement adjustments. May experience increased salivation temporarily while your mouth gets used to it. The device will stain if cleaned with toothpaste or mouthwash. No mailing address or phone number listed on the site. I like the SleepTight mouthpiece. It isn't a bulky feeling in the mouth, is pretty comfortable, and was overall effective. It's nice that they have a trial price and period as well. Although the mouthpiece is approved by the FDA, it may contain BPA (not confirmed). SleepTight Mouthpiece is a MAD that can be custom-fitted in the privacy of your home. It is designed to hold the lower jaw in a forward position, thereby keeping the airway free of obstruction. This device has a hard exterior and an inner core of material that gets softened to create a mold of your jaw. So, it if it’s tight to stay in place, but its strong exterior makes it extra durable. This mouthpiece features an air hole that measures 6 millimeters, so it is plenty large enough to allow enough oxygen to pass through for mouth breathers, but it is not so large that it forces your mouth to remain in an uncomfortable position all night. SleepTight snoring mouthpiece was designed by a dentist. It is manufactured in the United Kingdom and cleared by the United States Food and Drug Administration. It can be refitted up to four or five times, and it has a longer than average lifespan of six months to two years. Those used by individuals who grind their teeth or clench their jaw in their sleep see the shorter lifespan. Unlike other MADs that can’t be worn with any dentures, SleepTight Mouthpiece can be worn with partial dentures. As long as you have some upper and lower teeth, this oral appliance may work for you. The Sleep Tight Mouthpiece is $69.95, but you don’t have to pay that upfront. One of the reasons I even decided to give this mouthpiece a try was because I only had to pay $9.95 per device (bought one for my wife, too) upfront. Then, you get 30 days from the time the device ships to give it a try. If you like it, your card will be charged $59.95 after 30 days. If it’s not for you, you can return the device, and your card will not be charged. So, you could technically look at it as the device costing $59.95 and shipping and handling being the $9.95 you pay upfront. Either way, you look at it; it’s a pretty good deal. Obviously, the first thing I liked about my experience with SleepTight Mouthpiece is that I only had to pay $20 to order two. I did end up having the full amount charged to my card 30 days later, though, but the low upfront fee was nice. When they arrived, I cleaned them, and we did the boil-and-bite method to fit them. The fitting process was simple; we both achieved a good fit the first time. I like that they felt snug, but like I said earlier, I just was not overly excited about it. It is not too bulky or uncomfortable, but I just never had a “Hey, I really like this mouthpiece!” moment. When I put it in for the night, I was instantly drooling, which is common when I start using a new device. I was aware of it in my mouth, but I was not aching to take it out. I fell asleep rather quickly. The next morning, I felt energetic, so I knew I had not snored. I felt like I really had a good night’s sleep. My wife was already up making breakfast before I got out of bed. She was pleased, too. She also said she liked it but didn’t necessarily love it. On the other hand, our teenage son who was up late studying for finals loved the mouthpiece because he said we did not snore all night. My mouth was a little sore, but by the fourth day, I had gotten used to it and was no longer bothered by its presence. The rest of the trial went the same as the first night. We found SleepTight Mouthpiece to be an effective snoring solution. Is SleepTight Mouthpiece for You? I found SleepTight Mouthpiece to be an effective snoring solution (Click here for the best SleepTight offer). It fits well, and it’s not overly bulky. I really like that I did not have to pay the full amount to try it. If you are looking for a MAD in this price range, I would also consider ZQuiet, SnoreRx, or Zyppah. ZQuiet also offers the same option of only paying for shipping upfront, so you can try it for 30 days before you buy it. It is a flexible mouthpiece that happens to be one of my favorites. 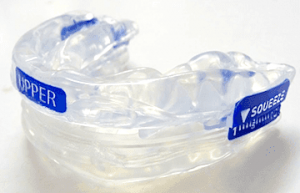 If the mouth guards/devices are not giving you the results you want (you must give them time so you can adjust), I suggest trying a TRD such as Good Morning Snore Solution. Just got mine to try, this is device type #6, was reading reviews, and saw your negatives. SleepTight devices have *no* BPA. Does the SleepTight contain latex or BPA? a material approved by the FDA for its use as a snoring and sleep apnea mouthpiece. The SleepTight does not contain any latex or BPA. LORD, am I hopeful on the one, but I was for each of the last 5! Happy Easter 2016. Thanks for the updated info Jay! Thanks for the info…….just found out I have mild sleep apnea and Bruxism. Dr wants 3k for a customised splint. I’m gonna give the sleep tight a try. So many on the market to choose from its confusing. Had any feedback on others with similar symptoms…….regards Garry, Australia.